Looking for the ideal Parasol, Retractable Awning, Canopy, Cassette Awning or Awning Fabric to provide durable and cost effective sun protection for your home or business? Al’fresco Sunshades could be your answer. 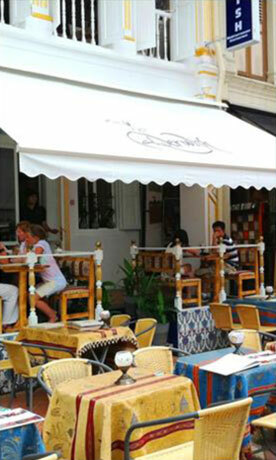 Al'fresco Elite System is without doubt one of the most trusted name in sunshades. Since 1993, we have been steadfast in our pursuit to bring in only the best sunshades, shades that are chic, elegant and functional. Our fundamental aim is to provide premium sunshades for those that recognize and demand quality. Al’fresco Elite System offer professional consultation service on shade design concepts and shade product applications. 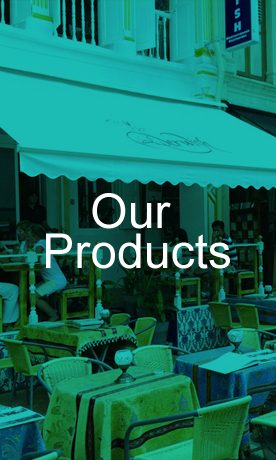 Al’fresco is a multi-brand sole agent, representing renowned European sunshade manufacturers. 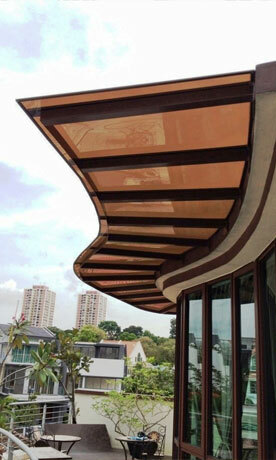 We are easily one of the most comprehensive stockist of sunshade systems and components in Singapore and SEA. Buyers of Al'fresco sunshades have no worry as they know spare parts are readily available and service and repairs are always prompt. 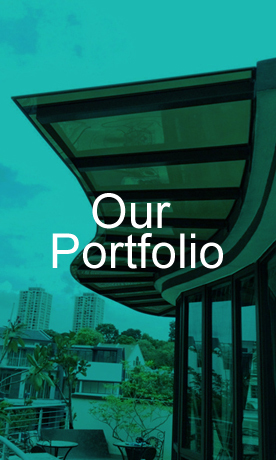 At Al’fresco, we are totally committed to offer our clients the highest returns on their sunshade investments. 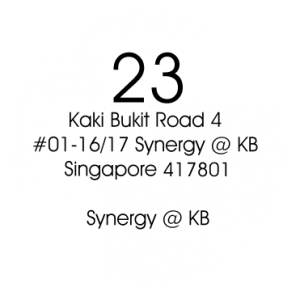 Our success in this field is built upon years of dedicated and superior customer service, integrity and the best quality materials. Naturally all these make us one of the leading choices for sunshade products, whether it is Outdoor Umbrella, French Awning or Roller Sunscreen System. Regardless of your budget and requirements, we have the expertise and experience to guide you on the best solution. The by-product of our expertise and premium sunshade products always results in an artful combination of functionality and esthetic appeal. The core values of our company have always been honesty,credibility , quality, and service.